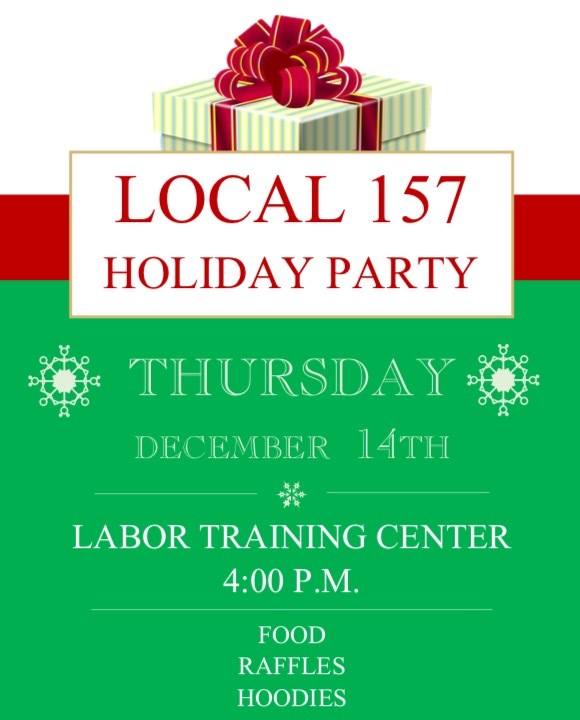 The Local 157 December Holiday Meeting and Toy Drive will be held Thursday, December 14th, 4PM at 395 Hudson Street in the CTC Common Room on the 2nd Floor. We will be collecting toys to give to local children in need as well as those affected by Hurrican Irma in Puerto Rico. Food will be provided. 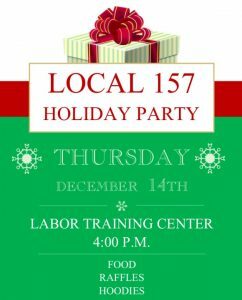 Come join us for our end of year celebration. Hope to see you there! Previous Post Apply for UBC Training Programs in 2018!